Collaboration is the New Competition: Isn’t It? Thomas Friedman popularized the “Flat World” terminology, which means—partly, I guess, I suppose—that business has to get better at playing with others in the sandbox. So, which is it? Do you compete with your competitors, or collaborate with them? Yes. Protect yourself? From whom, John? I’m the only threat he can possibly be talking about. So, what am I? A client, or a competitor? 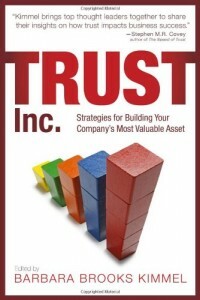 “…by retaining 5% more of its customers, a company can almost double its profits… In other words, it pays to engender loyalty. So that’s WHY we need loyalty programmes – or more specifically, the data that we can gather from them." Their words, not mine: the reason we have loyalty programs is for us to make more money. Loyalty—as in semper fi, or ’til death do us part—is engendered by business in order to make money—not for its own sake. Means, not ends. Like Hugh Lofting’s Pushmi-pullyu, business has become of two minds. On the one hand, the reigning strategist of our time, Michael Porter, teaches that business is about competition, that there are Five Forces of Competiton, and that two of them are about a company’s rivalry with customers and with suppliers. By this view, the natural state of business affairs is a Hobbesian state of nature, where we fight with others in our supply chain. Made a lot of sense 20-30 years ago. So Detroit competed with its union, its dealers, and its suppliers. Meanwhile, Toyota collaborated with its suppliers, and today enjoys a huge cost advantage because of it. On the other hand, in a world where increasingly you have to get world class at one thing and outsource the rest, you had better get really good at collaborating with your supply chain—not suing them and having them sign NDAs. Collaboration is the new competition. What is happening here, Mr. Jones, is that a Brave New World is colliding with a rapidly obsolescing business ideology. As always happens, the New World will eventually win. The only question is, how much damage will be sustained along the way. Because old ideologies die slowly, like old ideologues. Business will have to re-learn the lesson of the human race. Survival does not depend on Darwinian strength—it depends on co-existence, co-location, collaboration. Darwin himself stated, if I’m not wrong, that survival depended more on adaptation than on overcoming. We’re going to have to root out an awful lot of knee-jerk beliefs and behaviors based on the old-think of competition, in order to get to a more universally efficient and value-producing world of collaboration. It’s not so much an issue of moral illness, as it is of mental illness. We need to think anew, and aright. Oh, and I’m still hiring John. It was his training, not his heart, doing that bad talking. It’s his heart I trust. 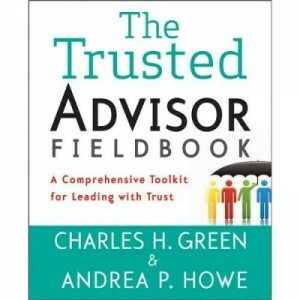 http://trustedadvisor.com/public/trusted_advisor1.png 0 0 Charles H. Green http://trustedadvisor.com/public/trusted_advisor1.png Charles H. Green2008-03-07 11:00:002008-03-07 11:00:00Collaboration is the New Competition: Isn't It? Carnival of Trust for March is Up Blawg Review #150: Updated!